In his journey down the memory lane, Mr Doreswamy recounts the tales of the 12 feisty Indian soldiers he met during his time in jail where he spent 14 months. 99-year-old HS Doreswamy narrates the tale from his days as a freedom fighter before independence. Bengaluru: Not everyone who fought for India's freedom survived to see it get independence 70 years ago on August 15 in the year 1947. HS Doreswamy of Bengaluru, one year short of a century, was one of the few who did and is still fighting for the India of his dreams, the India that his beloved leader Mahatma Gandhi imagined. Born in 1918, the 99-year-old activist, who still dons cotton dhoti-kurta, is a familiar figure at many demonstrations on issues important to Karnataka - from corruption of political leaders to protection of lakes, to land reforms. Raised by his grandparents, the nonagenarian had foray into the cause of independence while he was in high school. While reading 'My Early Life', a book by Mahatma Gandhi, "a sentence caught my attention: 'A public worker should hug voluntary poverty.'" This is one of the things that initiated him into the world of freedom fighters and has been the motto of his simple life too. 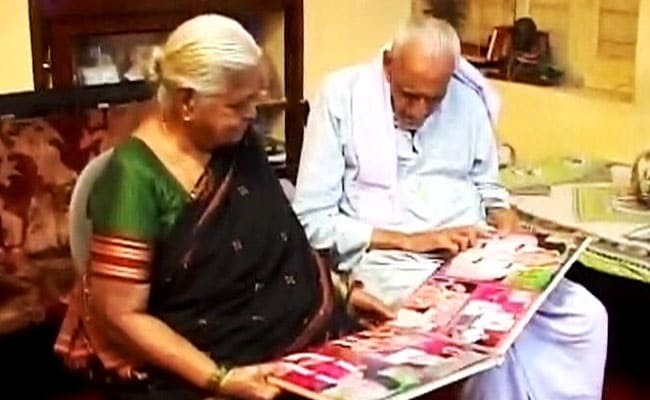 A minimalist by nature, HS Doreswamy leads a simple life in Bengaluru with his wife. In his journey down the memory lane, Mr Doreswamy recounts the tales of the 12 feisty Indian soldiers he met during his time in jail where he spent 14 months. These 12 men, he remembers, wanted to join Subhas Chandra Bose's Indian National Army or the INA. While in jail, they would chant slogans of freedom. They would say: "Gandhi ki jai, Mahatma Gandhi ki jai." Watching them, Mr Doreswamy and his fellow inmates "felt that some of our Congressmen who have disobeyed some laws had come." The following morning they were introduced to the 12 soldiers. "We wanted to join the INA and fight the British. But we were caught...Bharat Mata didn't want us to accomplish our work. She wants us to sacrifice ourselves. We are ready," they had said. A few days later, the officer who arrested them met his superintendent and told him about them. The strict superintendent ordered for all of them to be hanged together. "Give me 12 bodies," the superintendent had said. But, after learning that it was something that a jail manual did not permit, "he took them back in the night to Jalahalli (in Northern Bengaluru). There all 12 were made to stand in a row and all were shot dead at the same time," Mr Doreswamy narrated unwaveringly. It is this passion for one's motherland that he misses in today's India. He said: "Gandhi ji when he said that he wants swaraj, his first aim was eradication of poverty. Nobody has found a permanent solution for eradication of poverty." "All sorts of government have come in - all sorts of permutations and combinations- but with all that, the main question remains as it is. Even after 70 years," the gutsy old man says signing off.